Another successful young adult novel is being turned into a movie, and this time it’s Rainbow Rowell’s adorable teen love story Eleanor & Park. No worries though, it’s not your typical love story. Set in 1986, this one features two socially awkward teens on the fringes of society who both have a passion for comic books and music. The rights were snapped up by DreamWorks who are bringing author Rowell on as a screenwriter. 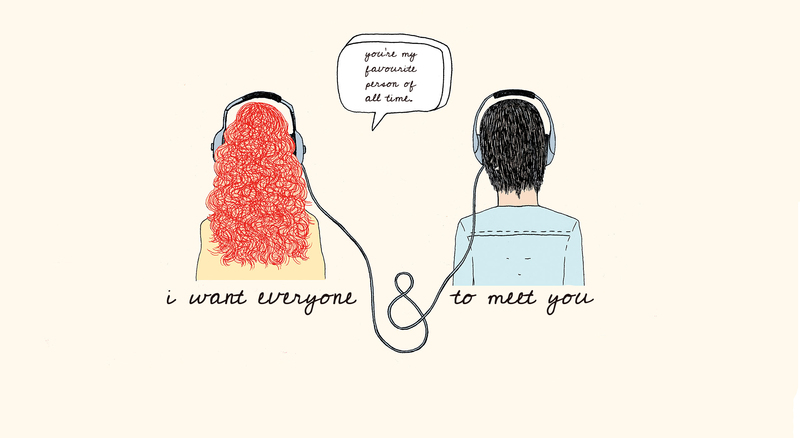 I think DreamWorks and the producer, Carla Hacken, genuinely want to make an "Eleanor & Park" movie that feels like the book. THEY'VE PROMISED ME THEY DON'T WANT THAT EITHER. I know it's Hollywood & there are no guarantees, but I think they want to do a good thing. And I feel so excited and optimistic about it. Also, I know Tom Selleck is too old to play Park's dad … BUT HE COULD PLAY HIS GRANDPA. Here’s hoping they don’t Mortal Instruments this one up!